Below you’ll find the solicitations information and cover artwork for all of Action Lab: Danger Zone comic book titles that were released on December 7, 2016. 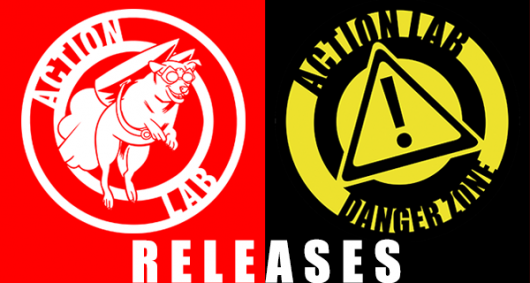 Below you’ll find the solicitations information and cover artwork for Action Lab: Danger Zone comic book titles that were released on October 12, 2016. The Puppet Master is a one-shot and looks to be a great read for the spooky season ahead!